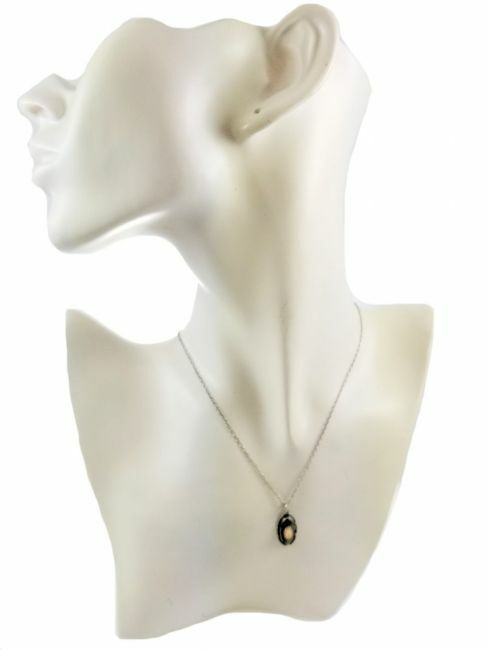 Description: An Art Nouveau sterling silver pendant with an iridescent abalone blister pearl. 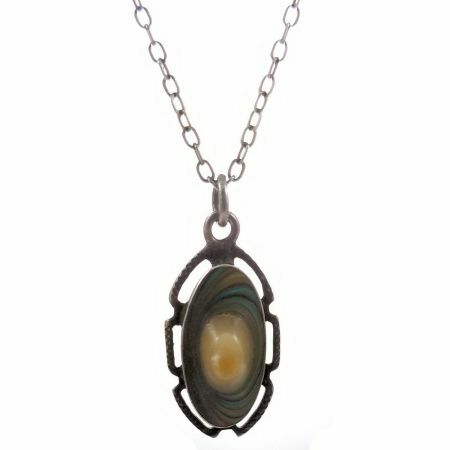 The pearl is bezel set and framed with an Arts & crafts / Art Nouveau crossover design. Marked sterling on the back. 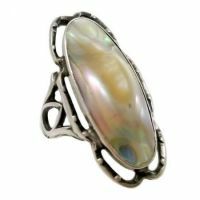 The colorful blister pearl measures 15mm by 8mm with a nice balance of green and purple iridescence. Suspended on an antique 20" sterling silver fine cable link chain with a white gold filled spring ring replacement clasp. Matching ring available here . Measurements: Measures just under 1" including jump ring by 1/2" wide suspended on a 20" long chain. Condition: Very good with the spring ring clasp being a replacement. Shipping: Ships in 1 to 3 days.